Yes, I think most everyone knows about the Dating on the Dork Side launch. It … launched. There was a flurry of activity there for a while. Now I think Darcy and I can both sit back and breathe a bit. Sort of. I am getting Ghosts of Christmas Past ready to go. It would be nice to have that one out before Christmas. Ideally. We’ll see how it goes. Also, I see that it’s snowing on WordPress. I love it when it snows on WordPress. Well, yes, you probably already know about the release for Dating on the Dork Side. And you can still head over to Goodreads and enter the giveaway for an autographed copy. But … Keeping Time now has a new home over at Luna Station Quarterly in issue #24. You can also pick up the issue in a variety of formats, including Kindle and print. Lots of behind-the-scenes work this week for the launch of Dating on the Dork Side. Looking at the e-book on this Kindle, on that Kindle, on my phone. You know, exciting stuff. I went on a submission frenzy this week. I also made it past the holiday without a rejection, so there’s that as well. And … I completed The Ghost That Got Away, the second episode in season two of Coffee & Ghosts. It’s 28,000 words, too, which is a healthy size for a novella. Coffee & Ghosts season two, episode two: 9,137 words for a total of 28,000 words complete! None, but as you probably know by now, Dating on the Dork Side launches tomorrow. In the meantime, be sure to hop on over to Goodreads and enter the giveaway for an autographed copy. Goodreads Giveaway: Dating on the Dork Side! Hop on over to Goodreads and enter the giveaway for Dating on the Dork Side, an autographed copy from both me and Darcy. Giveaway ends December 13, 2015. 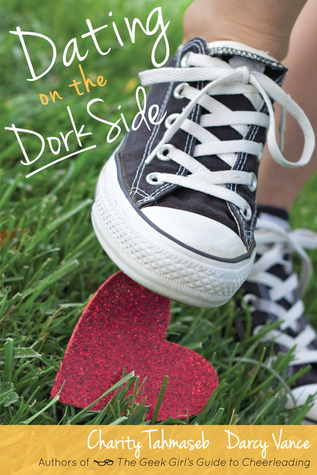 So, if you’ve been following along, you know we had our cover reveal this week for Dating on the Dork Side. We are pleased and excited and getting ready for the release on November 30th. I also had a nice surprise this week when my contributor copy of Dragons, Droids and Doom, Year One arrived. Links below. It is full of speculative fiction: 370 pages of it from 49 writers. I’m thinking it would make a pretty awesome holiday gift for anyone who loves short speculative fiction. And somehow despite the cover reveal flurry, I managed to write +7,000 words this week on The Ghost That Got Away. I’m so close to the end. So. Close. I’m hoping this next week to finish it up. My story Incriminating Evidence is part of Dragons, Droids and Doom, Year One, the very first anthology from Fantasy Scroll Magazine. It’s in print and e-book, available in all sorts of formats from all kinds of retailers. Check out Dragons, Droids and Doom for more information. Cover reveal: Dating on the Dork Side! Come to the dork side … we have cookies. Stung by an epic betrayal, Camy Cavanaugh relies on the sure things: her best friend, her job as peer tutor, and her safe spot on the sidelines of life. But when she hacks into a secret, trash-talking website, it ignites a war between the sexes that won’t end until the whole school is turned upside down—and Camy’s world is turned inside out. And then there’s quarterback, A-lister—and former crush—Gavin Madison. He hasn’t spoken to Camy in three years … but he’s talking now, begging her to pair the guys on the football team with girls from the Honor Roll. It’s a contest of wills and everything is on the line—even Camy’s heart. Will she retreat to the sidelines, or will she find the courage to get back in the game? Today is cover reveal day! Dating on the Dork Side will launch into the world on November 30th. In the meantime, add it to your shelf on Goodreads. Want an email when it’s available? Sign up for my mail list. Look! Some new writing this week on season two for Coffee & Ghosts. Writing a second season? It’s challenging. If nothing else, I’ll learn something from this. Learning = good. Finished up revision work/copy edits for another project (more on that later) and started in on the doc clean up and formatting. And I have a Goodreads giveaway running this week (until the 15th) for a signed copy of the paperback. So, if you like your reading in paper form, head on over to enter. 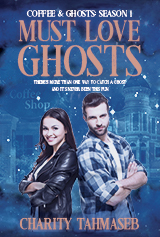 None, but the print version of the Coffee & Ghosts series bundle has a Goodreads giveaway. Enter to win a signed paperback. Giveaway ends October 15, 2015. So, lots of coffee and ghosts this week. Final, final tweaks to get it ready to launch yesterday. 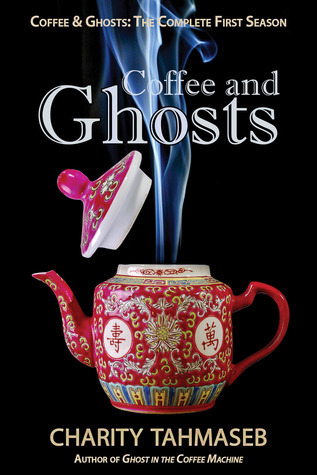 If you like all your ghost (and coffee) stories in one place, this is the format for you. Did some revision work this week and some brainstorming on a possible season two for Coffee & Ghosts and … I think I may have a season two. I’m thinking three stories this time, novella length (or so I hope). We will see. And we did it. All four of my Girl Scouts are first aid qualified–and so am I (again). Minus a few bruises on my wrist from practicing chest compressions, all went well. The Coffee & Ghosts series bundle is out in the world. You can read more about that in my post here. But it’s available in one volume, or read each episode for free if you have a Kindle Unlimited subscription. It’s even in print.